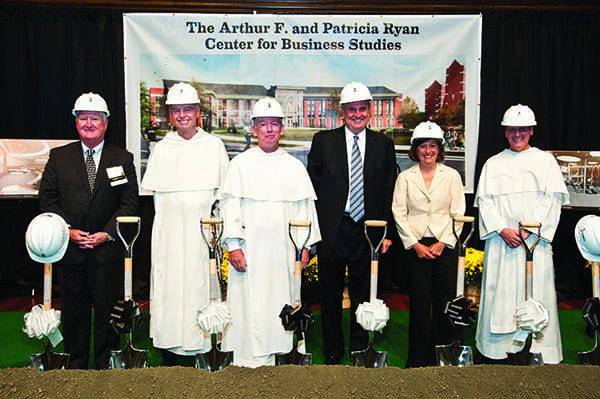 Providence College formally broke ground on the Arthur F. and Patricia Ryan Center for Business Studies during St. Dominic Weekend, Oct. 2-3. 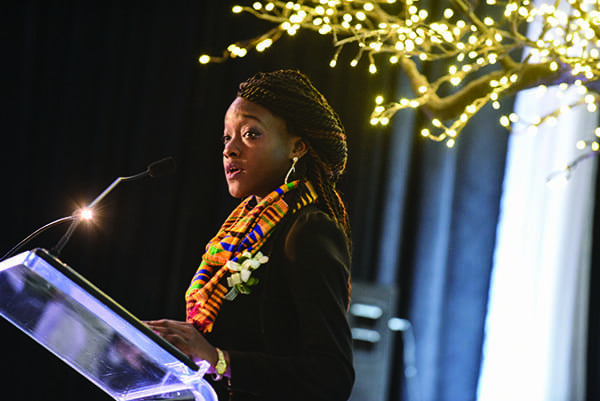 Because of rainy weather, the ceremony took place in the Ryan Concert Hall of the Smith Center for the Arts, a venue also named for the Ryan family. Remarks were offered by College President Rev. Brian J. Shanley, O.P. ’80 and Dr. Sylvia Maxfield, dean of the School of Business. The new home for the School of Business will serve as an academic and social hub at the heart of campus. It is being constructed at the former Dore Hall and is expected to be completed in early 2017. 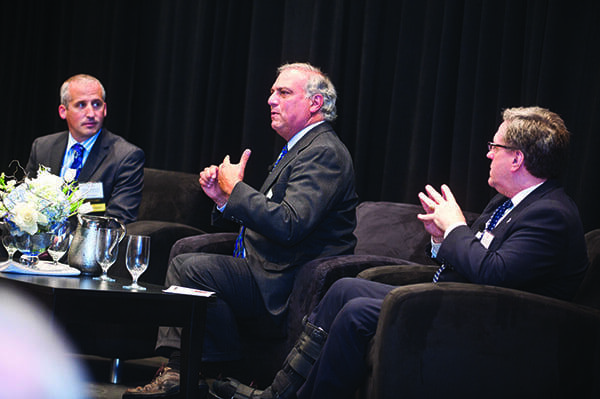 Among its features will be a two-story glass atrium, a learning lab with Bloomberg terminals, and classrooms designed to encourage hands-on learning. 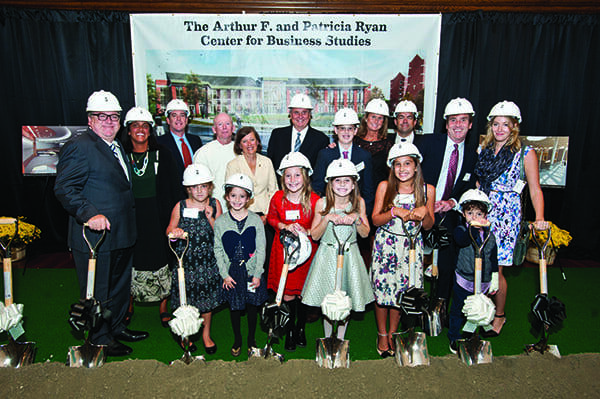 Arthur F. Ryan ’63, ’90Hon., & ’89P, retired chairman and chief executive officer of Prudential Financial Inc., and his wife, Patricia, contributed the lead gift of $5 million toward the center’s construction. Ryan also spoke to the College’s leadership benefactors during the Gratitude Dinner in Slavin Center ’64 Hall.